along the road that’s scares me wordless, worldless and worthwhile. like: do I vaunt my head or write my heart? I don’t know which is bravest: leave home, leave job, or restart? weigh anchor, sail away to sunsets, fun fêtes and unknown. for study? One more contract, endless? Centless? Self-employed? The bravest cut their own paths through the wood. This week, I was planning to just make a tabular version of my ISS vs. LHC comparison, so people could see all the links, explanations and caveats without necessarily downloading the pdf or having a pdf viewer that supported notes. It seemed the right time for it since I finally asked (at about 50:45 in this video) William H. Gerstenmeyer from NASA which was most amazing of the two. Then, on Saturday night when I still hadn’t started making the new comparison chart, Marian Call challenged us to write a poem on the topic ‘the bravest thing’ as part of the run-up for the re-release of her album Something Fierce on November 13. Only a day or two before I’d said to a frenemy that I wasn’t sure which was the scariest and therefore recommended option out of quitting my job or quitting my home (to move to where my job’s going.) Publishing a poem about that seemed like a pretty scary thing to do, so I did it. It’s all true. That makes the second week in a row that I write something prompted by Marian Call. I also drew a picture for a Something Fierce task to illustrate a lyric, though I haven’t done any of the other tasks. 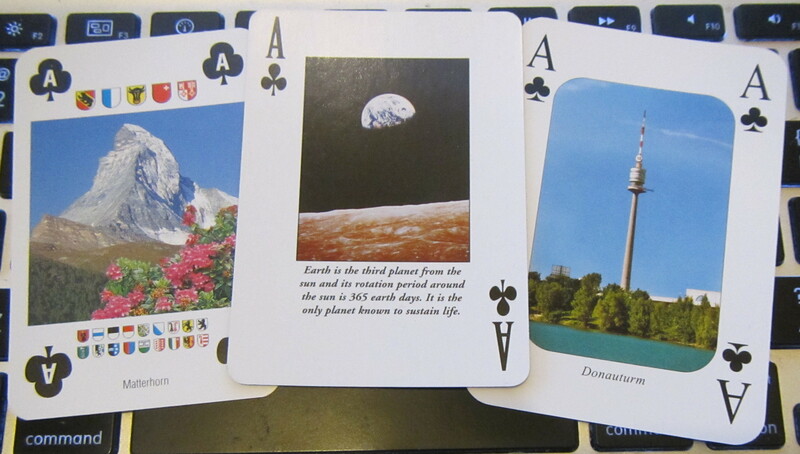 Despite the change of topic, I still used a NASA playing card, because I love it and it puts things into perspective. Earth is the third planet from the sun and its rotation period around the sun is 365 earth days. It is the only planet known to sustain life. Good morning, Earth. I photographed them on my keyboard, because the internet is my home too. The poem references Marian’s adventure quest, her song Anchorage (which I’d probably listen to even more if I moved) and this video about quitting. It has a nice simple ABAB rhyme scheme which I then went and made difficult by making the first and third lines sort of rhyme at the beginning as well, and adding some extra assonance at the end of the last line of each quatrain. To be honest, I started doing this because I actually was wordless; I couldn’t find a way to get ‘worthwhile’ in there without adding too many extra syllables to the line, so I made sure the extra syllables rhymed. Then I came up with a tune that made that sound good in my head. Yes, a tune, because they make such changes of metre sound more natural. Maybe some day I’ll figure out how to play it on my midi keyboard so you can hear it. Meanwhile, how about listening to something good, or something fierce. Here is where I’m putting videos of Marian’s concert at CERN. She’s still touring Europe, so if you’re near any of the shows listed on her website, go see them. This entry was posted on November 11, 2012, 7:32 pm and is filed under Kennedy Space Center, The Best of Switzerland, Vienna, Writing Cards and Letters. You can follow any responses to this entry through RSS 2.0. You can leave a response, or trackback from your own site.